An Amazing Brain Adventure is a THREE PART feature film- part documentary, fable, music, and fun. It illustrates things about the human brain, you will not see anywhere else. The main feature, Mirror, is about a very special girl who FIXES things and CREATES things with her Ah-Mig Doll-Ah. This is a REALLY unique film, nothing else quite like it out there, both in terms of presentation, story, technical and artistic expression. HOW DO YOU DO ALL THIS??? the grownups liked the guitar album I think the best. We didn't move even to go to the bathroom for the entire film. amazing. Congratulations on a very unique and well done story." This all-ages movie comes from an original story written over twenty years ago, long before the fad of kids doing magic became a pop phenomenon. The Mirror (60 minutes) movie is the main part of the DVD- but the shorter bonus features also touch upon the story in one way or another, and clue you in to deeper secrets in the film. The Original Mirror Story (45 minutes) is a DVD audio book story goes into great details about Mirror's past and alternative history. Fun with Fred (20 minutes) is a humorous look into brain and behavior potential and the director's personal history leading up to this film. And, The Erfie and The Chloe Show (5 minute short) -well, dogs and music, goofy stuff- all frontal lobes material the brain loves. Additionally, the film itself has three alternative (2.5 hours) director commentaries on Audio Tracks #2 and #4 that took at great depth into the story behind the story, potential interpretations of the film, and some technical notes. An additional compressed 'Steady Volume" full audio track is supplied as audio track 3 for noisy environments and portable players. This is a PROGRESSIVE, full 24 frame per second DVD (like projected film), if your player allows this special setting. There is nearly FIVE HOURS hours of total content on the DVD to explore over and over. Mirror is a stimulating puzzle and a riddle for your frontal lobes. This story runs very deep, and it is a highly VISUAL adventure. Most of the human brain involves non-verbal processes so WATCH carefully. Every scene has lots in it, blink and you'll miss something. Figure out what it reflects for you. That will be the biggest reward; when you took into the MIRROR of your own mind and brain for meaning and relevance. Watch the film without the commentary, then view again and listen to the commentary audio tracks- you'll be amazed at what you discover you may have missed. 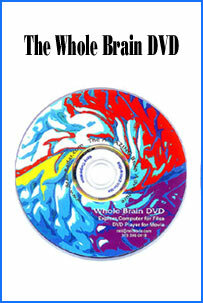 This film is supplementary to the basic HOW TO DO BRAIN SELF-CONTROL Books and Music found on the main order page. But what GREAT supplementary material it is!! While you're here, Please join our Mind Movie Discussion Group! The above discussion is an open ended discussion group for the Mirror Brain Adventure Movie and related topics touched upon in the film. "Mirror" is a film that deals with brain, brain self-control, psychology, as well as alternative realities, ESP, telepathy, telekinesis, paranormal abilities and related subjects. Technical video and film topics, such as editing, camera work, photography, and production may also be discussed. Having been a student of film since I was 5 years old, and a screenwriter myself for the past twenty, I found Mirror to be a very provocative film. Why provocative? Because unlike many films I view, this one made me think! I find that very appealing in any film. Many films on the market today have just the entertainment value attached. I can usually go to a film and within the first thirty minutes discover the meaning and the ending. That’s sad not only for the storyteller but for all of us. We all know the brain can tackle many difficult tasks, yet today it still remains a mystery to most of us. The compilation contained within this amazing brain adventure is just that…. AMAZING! You have managed to unlock our creativity with yours. Not only did it compete for my thought process, the cinema photography contained within this film I felt to be outstanding for not being a major studio undertaking. The story, commentary and characters, I found not only to be exceptional quality, but people I would love to spend time with…. a welcome addition to any film. Finally a film you can watch over and over and get a new meaning with every viewing. A film that I wished would never end. In my mind you have scored a success with Mirror! I can’t wait for your next outing to appear. "Came back indoors and couldn't resist putting Mirror on my computer's DVD player even though I was not sure I'd have time to watch it all. Some synchronicity at work here: yesterday evening the tools appeared (thanks to my wife) which enabled me to fix the sound system on my computer which had been out of action for the last two months. The Prelude is a delightful surprise and alone was worth the price of the DVD. Plenty of amygdala clicks going on whilst I was watching this. Particularly good to see the footage of T.D.A. Lingo and the Dormant Brain Research and Development Laboratory. Then the main feature. WOW! Sat there with a smile on my face and my brain clicking all the way through it. 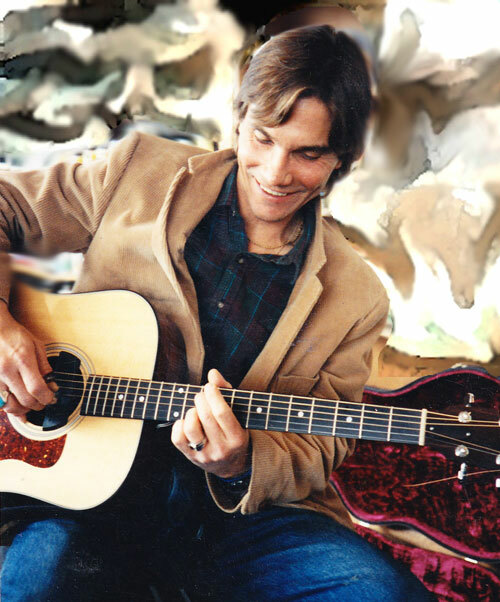 Neil, it's AWESOME: gorgeously shot, beautifully sound tracked, and Mind-Blowing in concept. Will set aside some time this weekend to see it again, but this time on my TV and DVD player. "The movie reminds us to see the “Magical” side of life. Mirror shows treasures are created from seemingly mundane things and moments when clicked forward with positive intension. “Child Play” life is not just fun, you can take it to the bank! Watch without the Audio Commentary first, then with. There is meaning to every part of the movie, and it reminds us to train our minds to notice everything. 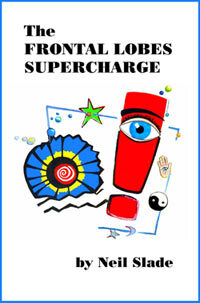 It is not necessary but reading or listening to “Mirror” in Frontal Lobes Supercharge may enhance the experience. [Note: This is now included in the DVD, and it's nearly a completely different additional 42 minute story]. Cover for DVD just being a “Mirror” is very cool. Sounds and soundtrack are really really great. End of credits very funny. [Make sure and wait till ALL the credits are done- there's a surprise]. Great Bike! Great old truck!" "Watched Mirror- WOW. Very moving." Neil, I really like the film. It is different, fresh, natural, and beautiful. It makes you think and brings your forgotten memory of unexplainable experiences back. Each time I watched it, I found something I had missed. I like the way you present it. The prelude not only indicates the origin and making of the film, but also introduces the main theme -- reality is a reflection. To watch the film is like to enjoy a understated multidimensional symphony. The scenes move like continuum of impressionist paintings, accompanied by pleasant music, almost without the distraction of spoken words. Occasional dialogues are short and natural. No shooting or kicking. No screaming or cursing. Sparce speech and explanation. A gifted girl naturally turned water into milk, junk into birthday cake, or stick into a flute and healing wand, painted the wall without actually painting, restarted a broken car with thought, or offered friends different drinks they wanted. Yet, noting short of miracle, the kind of miracle recorded in bible and other ancient writings. The possibility of transformation between matter and energy , expressed by Einstein's famous formula, has long been accepted as truth. The film portraits such transformation as it is. It tells Mirror's story in a relaxed way. In realty, the occurrence of paranormal events is everywhere. Mirror reflected this reality, indicating that paranormal is normal. The characters are natural and likeable. The film did not create artificial conflict or tension, rather let people be -- coexist peacefully, treat one another with respect, share, and help one another whenever and wherever needed and possible. Why not? 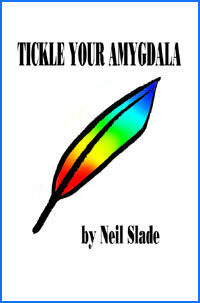 We all have frontal lobes and are capable of clicking amygdala forward. I appreciate the care you took in design each scene. The screw driver left on the road, the long moral Mirror passed by, or the clean painting pad -- each serves a different purpose in a quiet way. "Hey Neil, I saw the rest of the DVD and I really liked it! It was all very cool indeed. I think you should wright a song about Erfie and Chloe, a song where you sing in it, (I personally think that you have a very beautiful singing voice), and put it on their website. Thanks for creating the Mirror movie and the rest of the cool and interesting stuff on the DVD. It's all awesome! The Magoffin in the show is the pursuit of higher consciousness through a process of "clicking" Mirror's brain into a cooperative and empathetic level of consciousness. This process is the holy grail of Mr. Slade's crusade to get humanity to transcend its current level of humdrum toil and reptilian violence into a more human and kind world....an excellent original music score...The electric cinematography is truly excellent. Mr. Slade has utilized digital tape and applied a 24 fps progressive format creating a smooth, film effect, which indeed give the show a fine depth and continuity that would otherwise be lacking in a standard video format. He also uses adept editing...the overall show has a pleasant and real feel to it. The characters all touched by Mirror's gift, and we are left with a colorful, meditative film from the heart that contrasts with the standard mechanical features that are typical of American mainstream films. It is tempting to say this film has some European nuances in it, a little Amelie, some Fellini touches. Most importantly, it is a tribute to the New Cinema, where an individual can take a story, and with some mastery of some editing programs, create a personal vision on a scale unprecedented in the past.- Doug Gerash"
Oh my GOSH-- the story takes twists and turns that never fail to SURPRISE us. 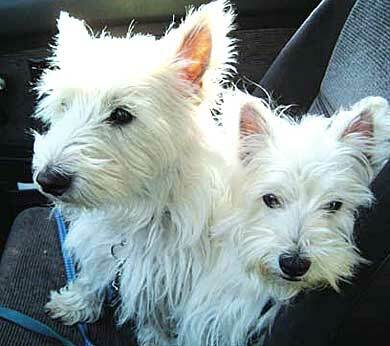 We think the story is going one way, and "Mirror" takes the reigns, and says; "We are now going THIS WAY!!" It takes every ounce of frontal lobes cooperative advanced intelligence energy to stay the track on such a challenging ADVENTURE. It's not a PRETEND story-- its a REAL story. The pitfalls in exploration are many- entropy black holes, twisting serpent devils ready to trip you up at every turn. But your forward clicked amygdala FRIENDS keep you on course, and the results are better than anything you could even make up. After one particularly trying episode, I was ready myself to hand in the towels. My cast and crew wouldn't let me! See the great bunch of Brain Explorers I'm talking about below. The film progresses steadily....Getting into fall, we are having a WONDERFUL time with the daily adventure surrounding the process of making AND discovering this film. Rather than a totally scripted out project, we are uncovering and discovering things about our characters and the story as it unfolds in front of us. We started with a basic story and outline, and then began the journey of EXPERIENCING the story as the process of capturing it on film progresses, almost in real time. It is really very different than the core story that appears in the Frontal Lobes Supercharge, which was just the kernel for the idea and this project. Mirror has really ceased to be merely only a work of fiction, but more a unique melding of story and actual BEING THERE while things happen, as we witness and delight in unforeseen and magical things happening before us. Being WITH the film is like stepping into another dimension. None of our locations are artificial sets, but rather extraordinary places lying at our feet- that we are recognizing as what they are, right around us. Almost like sliding into the parallel universe that occupies the same space we call "normal" reality. Emily Choi continues to bring something indescribably fantastic to Mirror. She really has a wonderfully different personality and presence that comes across so well. I am totally serious when I tell you that -literally- people driving by as we shoot exterior scenes pick up on Emily's aura, and stop their cars in the street to comment upon it to us. Rachel Mor plays Mirror's mom in the film, and has been friends with me for about ten years. Her daughter Ruti Mor sang in my rock band The Brain Revolutionaries for a few years, and made an album with me. See Amygdala Brainbites. Ruti recently graduated from Columbia Universtiy in NYC, but is back in Denver to record something new with me to be used for the soundtrack. 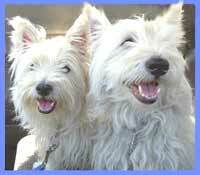 And last, but not least- It's Erfie and Chloe! They are really the stars of this film, but don't tell the humans. they even have their own Dot Com! !